Next time you pour that frosty glass of milk for your loved one, consider just what you are actually serving forth. When it comes to milk, not all glasses are created equal. 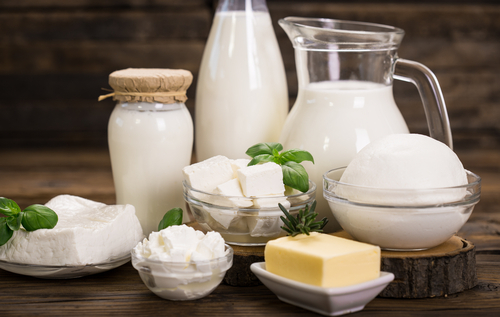 According to a new study, researchers found that cows that are fed essentially a 100% organic grass and legume-based diet produce milk with significantly more omega-3 and conjugated linoleic acid (CLA) fatty acids. Fats have gotten a bad reputation over the years, leading to today’s plethora of low-fat diets and weight loss schemes. It turns out that not all fats are bad for you and in fact, omega-3s and CLA play a significant role in our health and wellbeing. Your body is able to make some of the fatty acids it needs from other fats. There are, however, two types of fatty acids that your body is unable to synthesize: linoleic acid (omega-6 fatty acid) and alpha-linolenic acid (omega-3 fatty acid). These must come from food because your body isn’t able to produce them. In turn, they’re used to make other fatty acids vital to healthy infant development. Humans evolved over millions of years with a varied diet that consisted of almost equal amounts of omega-6 and omega-3 fatty acids. Balanced intakes of these fatty acids helped us to thrive and promoted heart health, lower blood pressure, enhanced cognitive skills, and less inflammation. Because our modern diet is laden with animal products and packaged, fast, and fried foods high in hydrogenated oils, the typical American consumes an unhealthy ratio of about 15 grams of omega-6 to every 1 gram of omega-3. Imbalanced intakes of these fats increase the risk of a host of health issues including chronic inflammation, problems with vision, erratic behavior, and premature aging. Chronic inflammation is particularly worrisome. It is the root cause of many serious, gradually degenerative conditions like heart disease, obesity, diabetes, and some cancers. Organic grassmilk to the rescue! You can increase your levels of omega-3 by eating handfuls of flaxseeds and walnuts. You can also access them in smaller quantities by eating plenty of soy products, beans, vegetables, and whole grains. It now turns out that enjoying a glass of whole organic grassmilk, or a bowlful of organic grassmilk yogurt, are other ways to shift your daily fat intake closer to that healthy balance of 1 gram of omega 3 for each gram of omega 6. Think of the great flavor and increase in CLA intakes as icing on the cake. This milk isn’t bone white like other milk. It has a subdued, yellow hue because of the carotene content in the grasses the cows eat. The flavor of grassmilk is also different because of the cows’ all-grass diet, resulting in a light, herbal taste. Both color and flavor can vary from season to season depending on which grasses the cows are eating at that time of year. These nutritional, color, and flavor qualities are passed on to grassmilk yogurt, cheese, and ice cream. This is why more and more people are realizing that the often-repeated advertising jingle “milk is milk” is misleading, and certainly not grounded in current science. 100% grassmilk is nutritionally superior to most milk on the market today. The study “Enhancing the Fatty Acid Profile of Milk through Forage-Based Rations, with Nutrition Modeling of Dietary Outcomes,” was just published in Food Science and Nutrition. 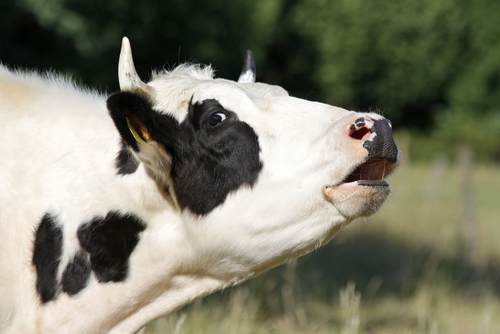 It compared the fatty acid profile of milk from cows managed under three systems in the United States. The first group was “grassmilk” cows that eat a 100% organic grass and legume forage-based diet. This is because they live on pasture and eat stored, forage-based feeds like hay and fermented grass “bale-age” in the winter months. The second group was from organic cows that eat about 80% of their daily Dry Matter Intake (DMI) from forage-based feeds and supplement 20% from grain and concentrates. Not entirely grass-fed, but fed 100% organic feed and a diet much heavier in forages than cows on conventional dairy farms. The third group was conventional cows that ate rations in which forage-based feeds account for just over one-half of daily DMI, with the other approximate one-half coming from grains and concentrates. Grassmilk provides by far the highest level of omega-3s—0.05 grams per 100 grams of milk compared to 0.02 g/100 g in conventional milk. That’s a 147% increase in omega-3s! View this short video to learn more about the findings of this study! How to balance your healthy fat intake? You don’t have to radically alter your diet to change your good fat ratio. Eat foods that increase your omega-3 intake such as salmon, flaxseeds, beans, nuts and seeds. Switch from conventional dairy products to delicious servings of grassmilk dairy products. Finally, consider increasing your daily dairy intake to 4 servings of grassmilk products, while avoiding one fired food per day. This will help keep daily caloric intake in line with your energy needs. Organic Valley specializes in grassmilk which comes from cows that are essentially 100% grass-fed and are never fed mature grains or soybeans. It’s produced in small batches to achieve the highest artisanal quality. The cooperative is also leading an industry group to employ a nation-wide standard and establish firm guidance and oversight for grass-fed organic products. Thereby assuring integrity through the entire supply chain from farm gate to consumer’s plates. This entry was posted in Culinary Delights, Environment, What is Organic and tagged Organic Agriculture, Organic Dairy, Organic Farmers, Organic farming, Organic food, Organic Milk, Organic Valley. Bookmark the permalink. If you can get grass fed organic RAW milk (not pasteurised) not only will you have all the benefits mentioned here but all the vitamins and minerals which are lost during pasteurisation. A perfectly balanced diet! Maybe you will have to milk your own cow to get it. You must be scrupulously clean to avoid any pathogens getting into the milk however.